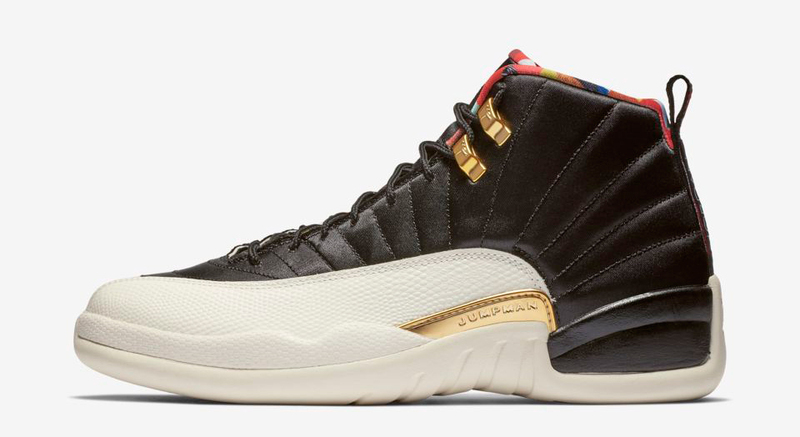 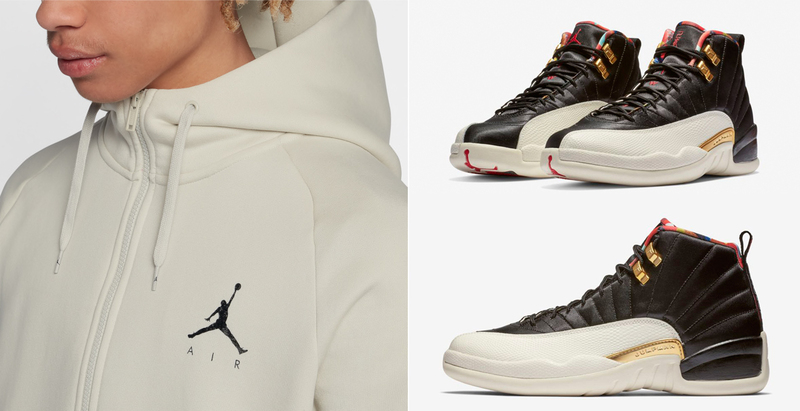 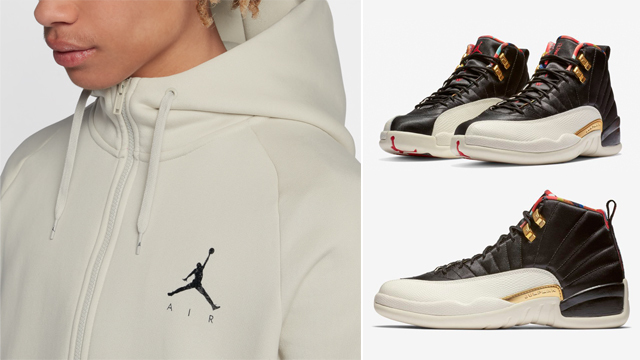 Good to hook with the Air Jordan 12 “Chinese New Year” sneakers is this Jordan Jumpman Air Fleece Hoodie in a Light Bone tint to pair up with the kicks. 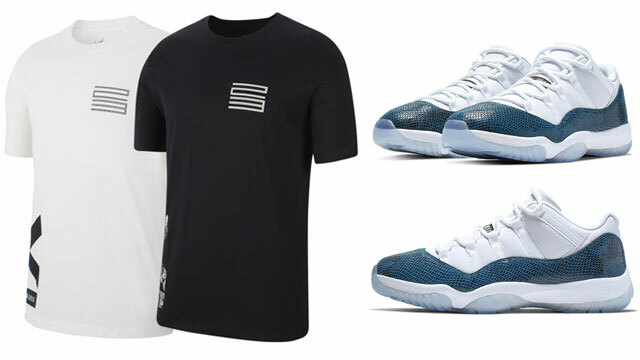 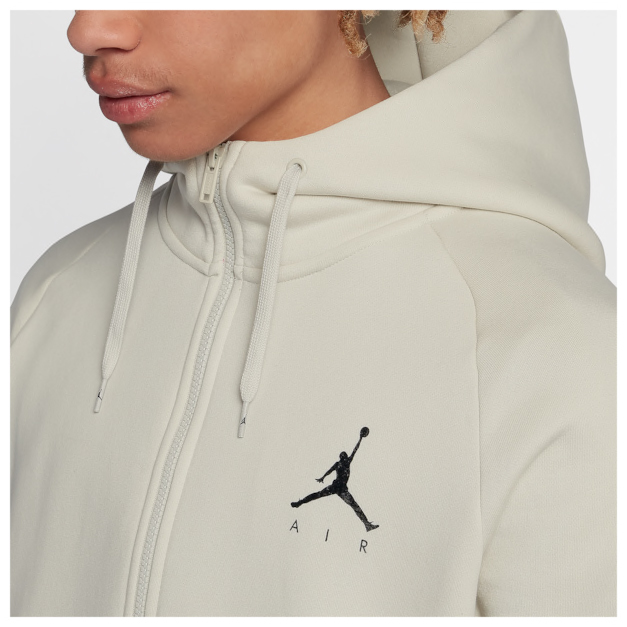 Matching up nicely with the Sail and Black color-blocking on the kicks, this cream colored Jordan hoodie features a Jumpman Air logo in black on the chest with diamond design lines inspired by MJ’s pro uniform, plus brushed French terry fleece for soft comfort and warmth. 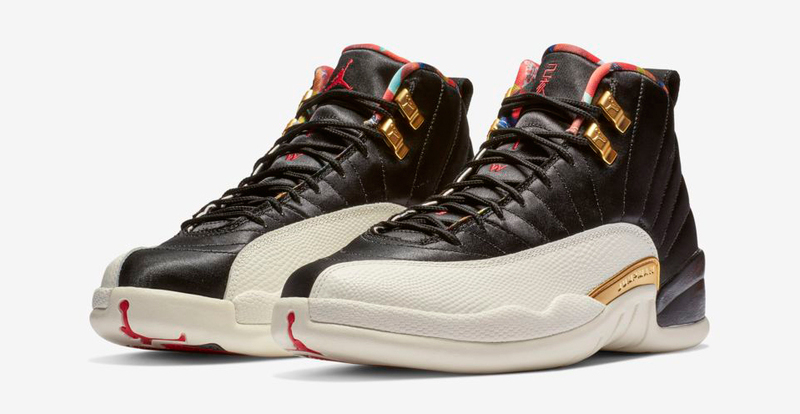 Lacing up the CNY AJ 12 Retro kicks? 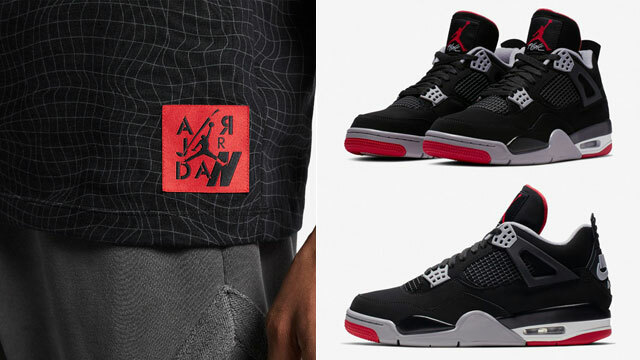 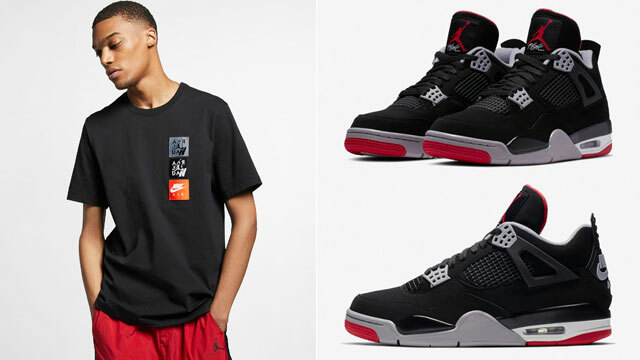 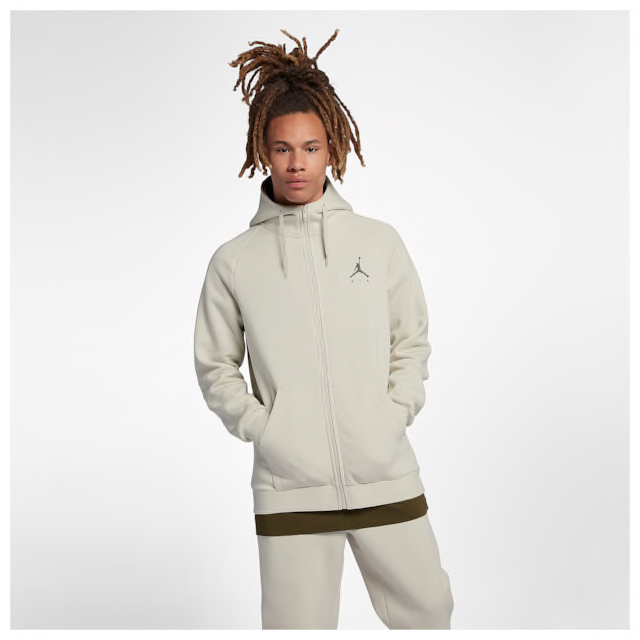 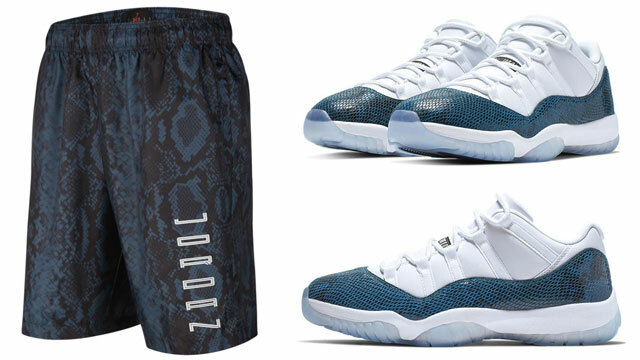 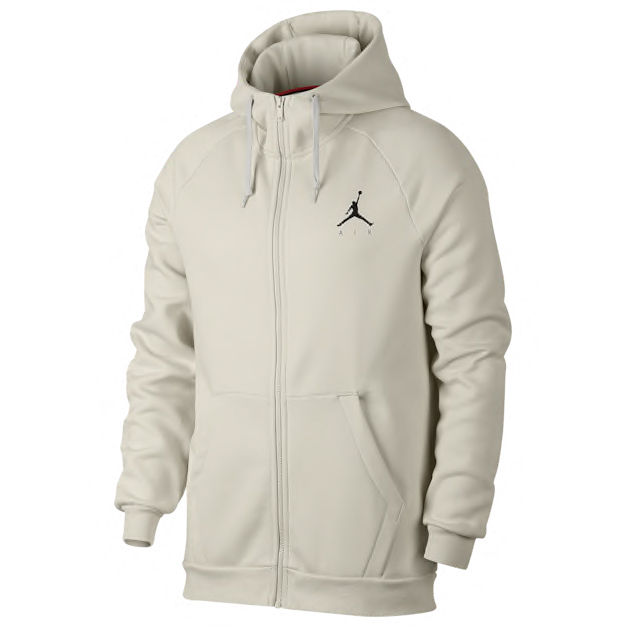 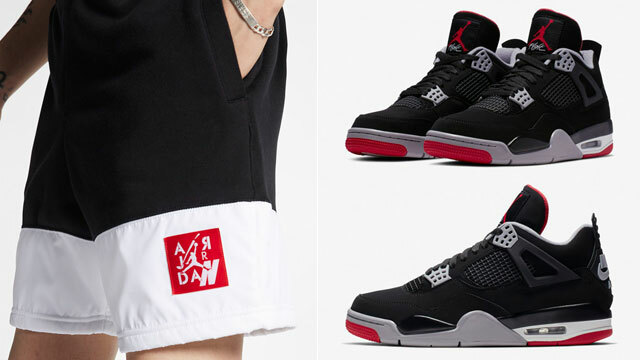 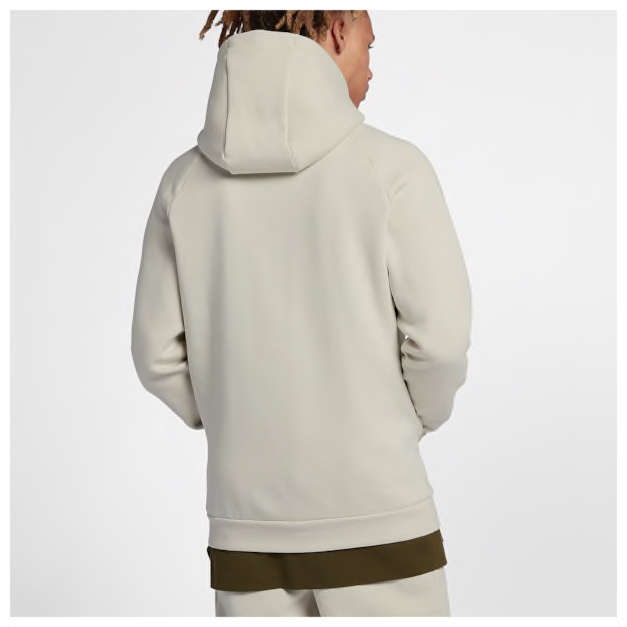 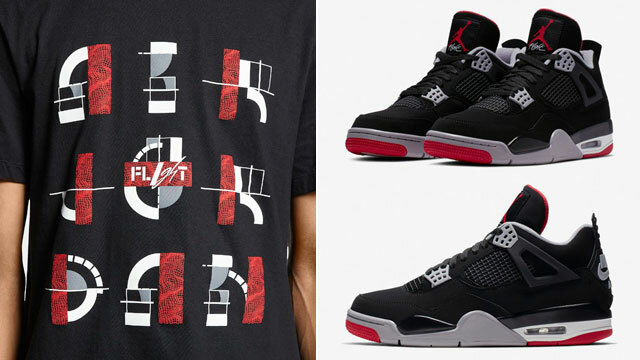 Complete the look with this Jordan hoodie to hook.